Fernando Talamantez has been in customer service nearly two decades, and understands the importance of meeting and exceeding his clients’ needs. 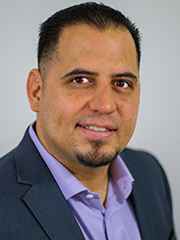 Born and raised in San Antonio, he is prepared to use his extensive knowledge of the San Antonio market to assist you in the sale of your current home, or purchase of your new home. He is willing to go above and beyond to ensure his clients’ complete satisfaction. Fernando’s love and passion for real estate is what gives him his competitive edge. Whether you are looking to rent a home or apartment, purchasing your first home, or ready to buy your dream home, Fernando is ready earn your trust, build an ongoing relationship, and be your REALTOR for life. Fernando can be reached on his personal cell phone at 210-705-2622. In his spare time he loves going to Braunig Lake for a day of fishing, or spending a day with family swimming and barbequing at Medina Lake. He also loves going to see his San Antonio Spurs at home games, and looks forward to enjoying all Fiesta activities.